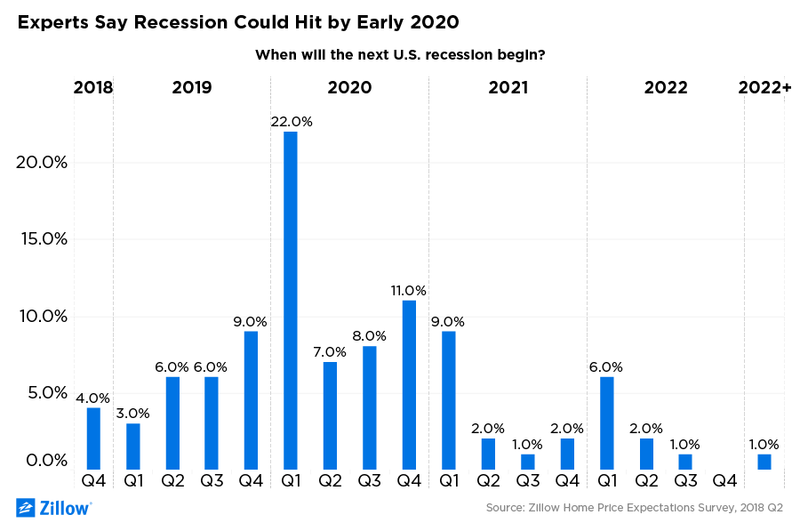 The next U.S. recession is likely to begin in the first quarter of 2020, according to a poll of 100 economists published Zillow’s Home Price Expectations Survey for the second quarter. 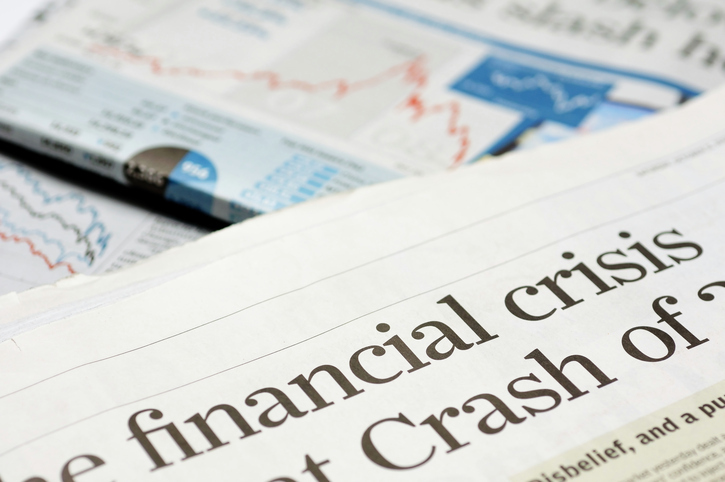 More than half of the survey respondents pointed to monetary policy as the likeliest cause for the next downturn, with only nine of the polled economists predicting that the housing market will be the cause of the next crash. Indeed, most of the economists predicted home values will rise 5.5 percent in 2018 to a median of $220,800. But if the Federal Reserve raises rates too quickly, the economists warned, the economy will start to slow and that could spur a new recession. This entry was posted in Economy and tagged Recession, Zillow on May 28, 2018 by Bone Fish.